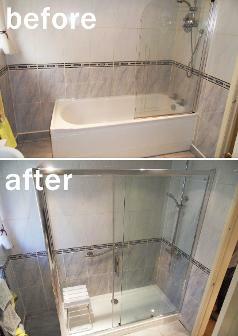 " On behalf of my wife and i we would like to thank Aquarella on the fitting of our new bathroom. Thanks to Andy for a fast quotation and excellent advice on the best bathroom fittings that suited our needs. 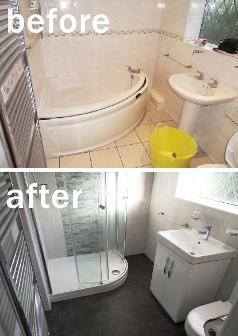 Sam who fitted our bathroom was polite and friendly and was very professional in every aspect of fitting the bathroom. Thanks to the rest of the Aquarella team, Abbie, Rob the electrician and Eric. 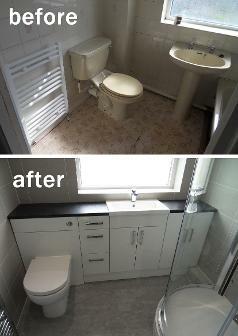 I would not hesitate in recommending Aquarella who provide an excellent all round bathroom fitting service. "Dear Aquarella. 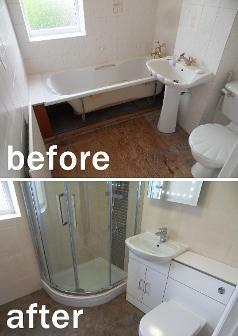 Just a few words to express our delight at the results of our new bathroom and en suite refits recently done by Sam. The quality and finish of his work is without doubt exceptional and to a very high standard and for us looking at the end results, very reassuring that we chose Aquarella"
"Dear Andy, Just a note to say a big thank you for work done recently fitting my new bathroom. The workmanship is first class. Mr David Chapman did an excellent tidy job. He was pleasant, friendly and helpful as were my initial dealings with yourselves. A first class job. Thank you so much. "To Aquarella, may i say how delighted i am with the transformation of my downstairs bathroom. The workmanship is excellent and the quality of the units is superb. The work was done meticulously with little or no mess. Every one who has seen the room has been amazed at the change. 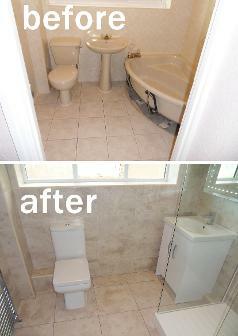 "Just to say thank you so much for my new bathroom, its lovely. A special thank you to Dave, who is very good at his job, extremely professional. Also thanks to Sam, a polite & mannered young man who also takes great pride in his work. Nothing was too much trouble to them & they were very clean and tidy"
"Dear Aquarella, I am writing to tell you how thrilled i am with my new bathroom. All the work carried out by Dave & Sam was to a high standard & in the time stated. Barry the electrician turned up on time and did a very good job. I was particularly impressed by the way Dave and Sam tidied up each day, even the man who collected the rubbish asked for the vacuum cleaner. When i can afford a new kitchen i will definately come to you. I would highly recommend Aquarella"
"Dear Andy, Just a quick message to say how happy we are with the bathroom supplied by Aquarella. The installation by Dave Chapman Started promptly and politely on schedule. Any hiccups or extras were promptly and pleasantly dealt with. The non slip floor covering you recommended was expertly fitted and is very practical and safe"
Now that the downstairs toilet is completed we would just like to express our complete satisfaction with this project. You have seen the finished article and probably agree with us that it has exceeded our expectations. It just looks so clean, contemporary, stylish and has transformed the room. We particularly appreciate all the effort you put in to get us the exact configuration of cabinet and bowl, which we could not find anywhere and for your advice on the tiling and the right toilet for the room. Finally you recommended Dave Chapman who was not only superb at his job but was a pleasure to have in our home. Full marks all round"
"Andy at Aquarella listened to my requirements in the planning stage and designed a bathroom to suit my tastes and budget. He project managed my bathroom from the initial ideas to completion, he was able to order and deliver all of the products very quickly and organised the complete fitting service. Andy project managed the installation project. Dave the installer arrived as planned and was efficient and trustworthy: his work is to an exceptionally high standard. I would highly recommend the service provided by Aquarella. It was a completely smooth and stress free project and the work was completed on time.